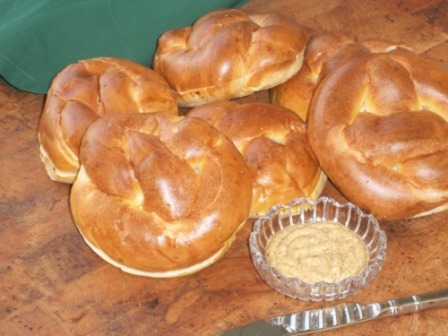 ATV Bakery INC. - Pretzel Rolls! Our retail store is open Sunday through Friday 7am - 8pm and Saturday 7am - 3pm. A growing favorite. Used for any sandwich anytime. A great alternative to a muffin or bagel. Toasted with sausage, egg and cheese for breakfast, hot meatball for lunch and even baked chicken cordon bleu for dinner! Retail packs available as a profitable deli item.